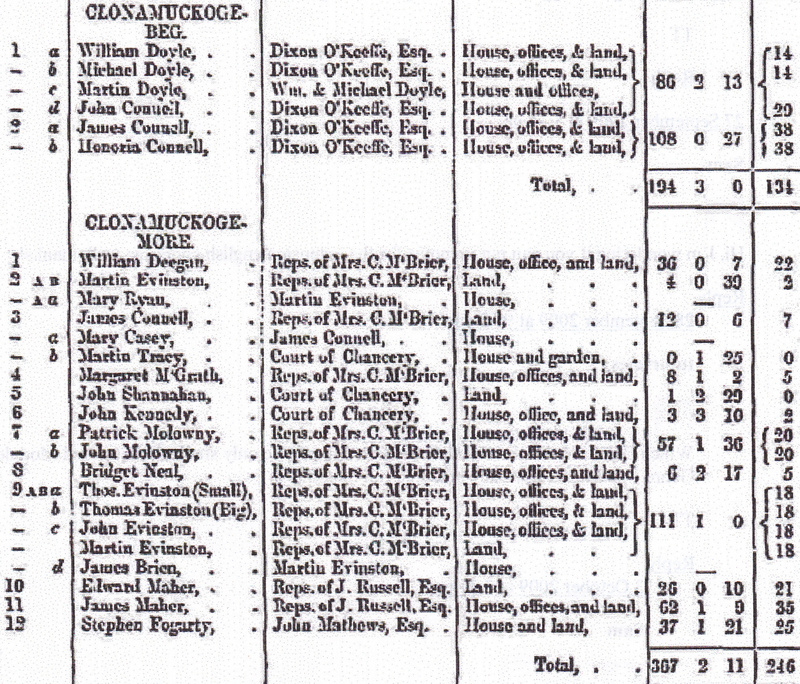 Fanning baptism records for Dunkerrin Parish (Moneygall & Barna): 1820-June 1873. 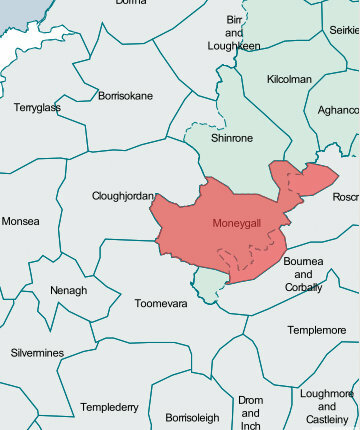 Variant forms of the parish name are Barna, Moneygall & Barna and Dunkerrin. 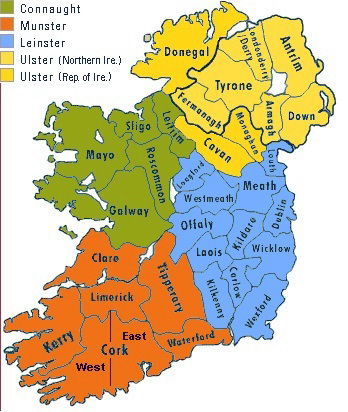 The parish is in Co Tipperary & Co Offaly, (Kings Co) in the Diocese of Killaloe. These records are from the National Library of Ireland’s site. 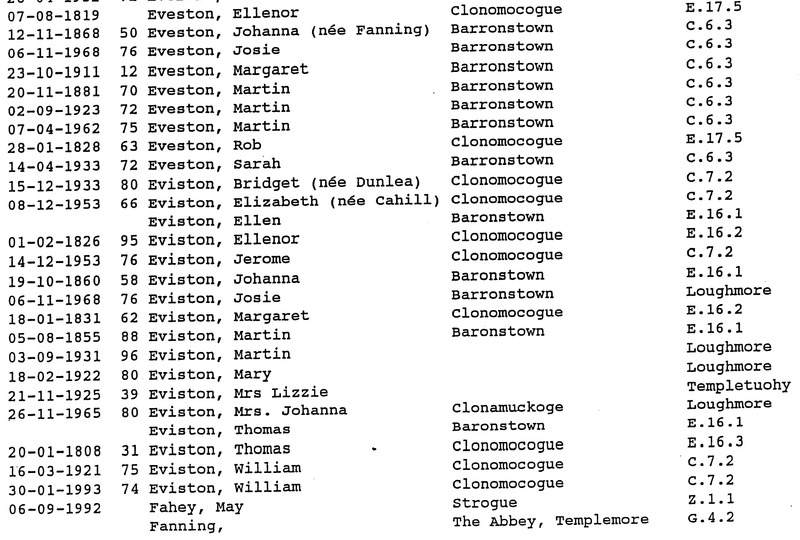 I looked through these baptism records as William Fanning and his brother Philip married two Eviston women, most likely sisters, from Loughmore Parish. My Fannings are related to the Evistons. So I was interested to see if there might be a connection to the Fannings from Lissaroon. I couldn’t find anything to indicate this other than Martin Eviston’s involvement. Philip Fanning married Mary Eviston on 31 Jan 1822 in Loughmore Parish. 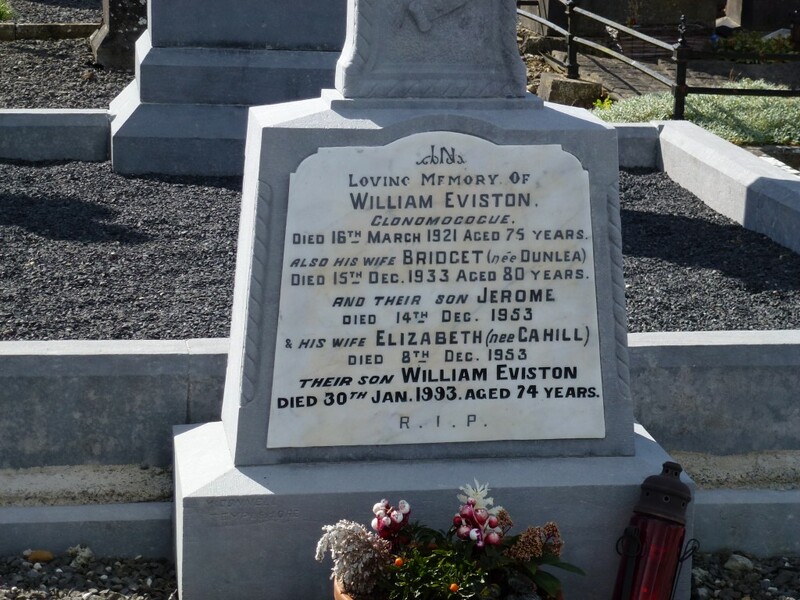 William Fanning married Ellen Eviston on 27 Jan 1825 also in Loughmore Parish. Rootsireland has baptism records for this parish from 1820 to 1911 and irishgenealogy.ie has civil birth records from 1864. The main Fanning families in this parish seem to have lived in Castlerone. I have included any Fanning god parents as these were nearly always related. They also give some idea of who was alive and when. 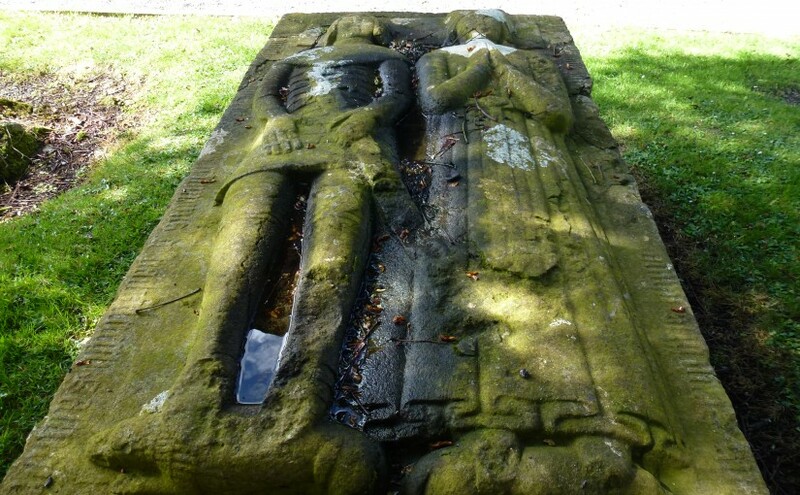 25 Jan 1821, William of Patt Fannon & Mary Gleeson, Castleroan sp: Dennis Flannery & Ann Halloran? Records missing from 16 August 1823 to 1 Jan, 1824. 8 Apr 1835, Margaret of John Fannan & Mary Carroll, Ballinakill sp: Eliza Hassett? 10 Feb 1836, Mary of Thomas Farrell & Sally Fanning, Ballerehagh? sp: Oliver Farrell & Mary Coorran? 22 May 1849, Edward of John Danly? & Margaret Fox? sp: William Fanning & Judy Bowe? 17 Apr 1852, William of John Hennessy & Mary Maher, Castleroan sp: William Fanning & Mary Curran? 19 Feb 1860, William of Philip Fanning & Eliza Doyle, Ballymoheen? sp: Thomas Fanning & Catherine Bowen. These have images with them. The ones from 1922 don’t and appear to be just indexes, still useful information in them. To get to the wills and probate after 1922 I had to search the archives for Fanning and related families. 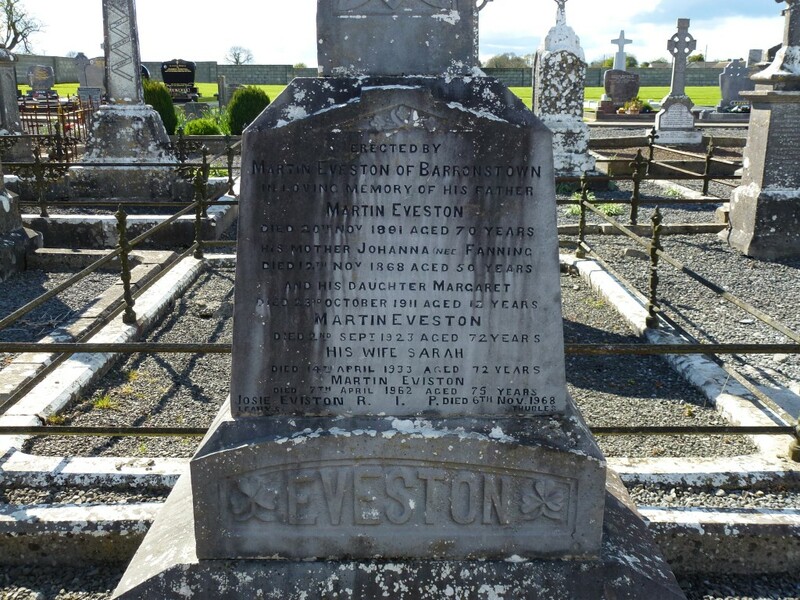 Martin Eviston, late of Baronstown, Loughmore, Co Tipperary, farmer, died 2 Sept 1923 to Sarah Eviston, the widow, effects 497 pounds. John Fanning late of Rathmoy, Borrisoleigh, farmer died 3 Feb 1948 to Johanna Fanning, widow, 199 pounds. James Fanning of Burnchurch, Killenaule, Co Tipperary died 11 April 1976. Mary Fanning, late of Castletown, Moyne, Co Tipperary, widow, died 27 Feb 1928 to Patrick Kennedy, farmer, 700 pounds, 13 shillings. Mary Fanning, widow of Clondoty, Loughmore, Templemore Co Tipperary, died 14. Dec 1948. To Nora Fanning, spinster, 2,600 pounds 16 shillings and 3 pence. Patrick Fanning of Clondoty, Loughmore, Co Tipperary died 9 Mar 1984, age 67. Anne Fanning died 16 July 1906, late of Coldfields Thurles, widow, to Patrick Fanning, farmer, 376 pounds 10 shillings. Thomas Fanning, late of Coldfields, Thurles, farmer, died 2 Dec 1934 to Martin Fanning, farmer, 87 pounds. 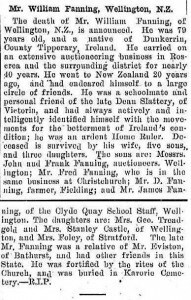 Edward Fanning, late of Coolcroo, Twomileborris, farmer, died 16 Sept 1925 to Eliza Fanning, widow and to James Commins, farmer, 359 pounds. John Fanning of Coolcroo, Twomileborris, Thurles died on 7 Feb 1988. Patrick Fanning of Drom, Thurles, farmer, died 4 July 1933 to John Hassett, farmer, 141 pounds. Patrick Fanning died Dublin 15 Nov 1906, late of 23 and 24 North Strand Rd Dublin, merchant, to Joseph Fanning, merchant, 7,005 pounds 1 shilling. John Fanning, merchant of 12 Richmond Place, North Circular Rd Dublin, died 17 Feb 1907 in Dublin, to Mary J Fanning, the widow, effects of 6,256 pounds 18 shillings 1 pence. Mary J Fanning formerly of St Ronans, Richmond Place, N.C. Rd Dublin and late of 5 St Albans Park, Sidney Parade, Dublin, widow, died 24 May 1939 to Veronica Doyle, married woman, and Patrick Fanning, merchant, 4,048 pounds. Roger Fanning of Gaile, Thurles. CoTipperary died 13 Aug 1987. James Fanning died 2 Oct 1885, late of Glenreigh Thurles, farmer to Margaret Fogarty, the daughter of Holycross, married woman, effects 257 pounds, resworn 525 pounds 3 shillings and 11 pence. Anne Fanning of Glenreighbeg, Holycross, spinster, died 27 Mar 1891, granted to Mary Ryan, married woman, effects of 75 pounds. Joseph Fanning late of Graigue, Moycarkey, Thurles Co Tipperary, farmer, died 27 July 1894, to his widow May Fanning, 72 pounds 10 shillings. Mary Fanning of Graigue, Moycarkey, died 26 Jan 1913, widow, to Joseph Fanning, farmer 233 pounds. William Fanning of Gurthnagoona Templemore, farmer, who died 10 April 1899, granted to William Fanning jnr, farmer of Gurthnagoona, his son, effects of 42 pounds. Richard Fanning of Killavinoge, Clonmore, Templemore, Co Tipperary died 3 June 1983. John Fanning, late of Lacken, Co Tipperary, farmer, died 22 Aug 1930 to Andrew Fanning, shop assistant and Patrick Fanning, merchant, effects 1,223 pounds 15 shillings. (Widower). 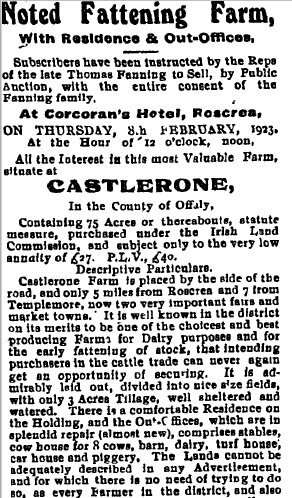 Thomas Fanning, late of Lisaroon, Thurles, Co Tipperary, farmer, died 3 Feb 1926 to John Ryan, farmer, effects 652 pounds 18 shillings 9 pence. (Age 67). James Fanning died 7 Dec 1918, late of Lisdonowly, Moyne Templemore, executor his widow Anne Fanning. (Married, age 65, son John Fanning present). Andrew Fanning of Moycarkey, Thurles, died 16 July 1982. Thomas Fanning late of Newtown, Littleton, Thurles, retired road worker, died 10 Sept 1944 to Michael Fanning, road ganger, 5 pounds. Martin Fanning shopkeeper, died 22 Jan 1903, primary beneficiary Patrick Fanning, shopkeeper of Limerick St Roscrea, effects of 1,027 pounds 4 shillings and 8 pence. 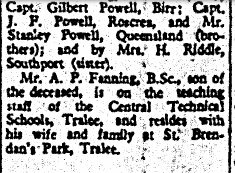 (Widower, publican, age 75. His niece Ellie Burke present). Mary Teresa Fanning of Shanakill, Roscrea, Co Tipperary died 21 Feb 1985. Edward Fanning of Shanbally, Horse and Jockey, Thurles died Sept 12, 1948 to William Ryan, farmer, 10,171 pounds. (Widower aged 80). Martin Fanning farmer, late of Skehane otherwise Borris, died 30 Oct 1891. 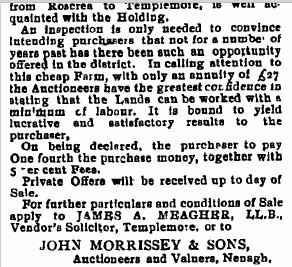 Primary beneficiaries were John Fanning of Coldfields and Phillip Maher of Garane, both farmers, executors 634 pounds 10 shillings. 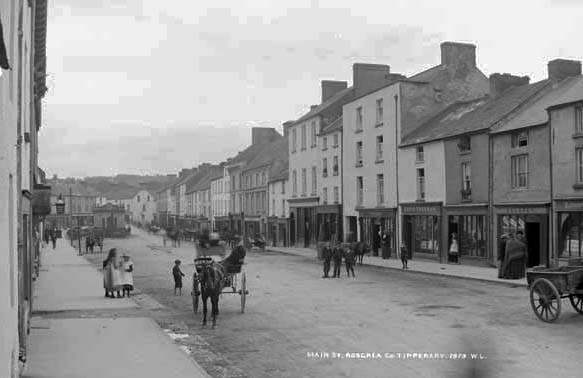 Thomas Fanning, late of Skehana, TwoMileBorris, farmer, died 14 Dec 1922 to Margaret Fanning, widow, 370 pounds. Anastasia Fanning, housekeeper, Lacy Ave, Templemore died 31 Dec 1945, 298 pounds to Ellen Campion, married woman. Anne Fanning, widow, of Jail St Thurles died 24 April 1887 at same place, effects 31 pounds, 15 shillings and 6 pence. Mary Fanning of Jail St, spinster, the sole executrix. (Age 68. Shopkeeper. Mary Fanning of Jail St was her daughter). Thomas Fanning late of Quarry Thurles, shopkeeper died 13 Sept 1897 to Ellen Fanning of the Quarry, widow and William Fanning of Clondoty 460 pounds. (Aged 42). The Very Reverend James Fanning died 10 Sept 1909, late of Cathedral St Thurles to Mary Ryan, wife of John Ryan, effects 482 pounds 14 shillings. 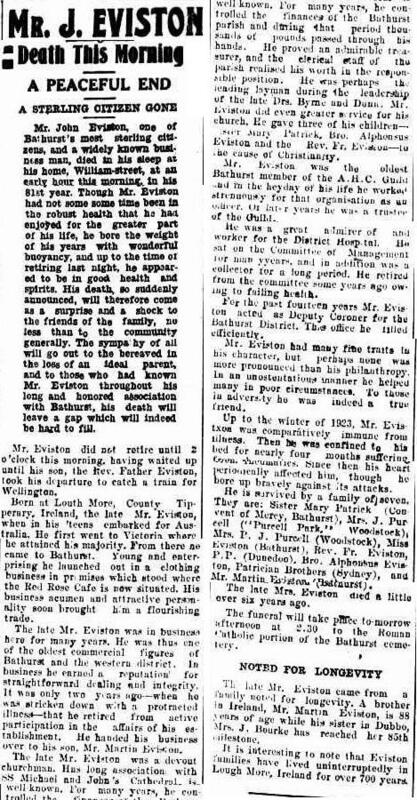 His death was reported in The Daily News Perth, 13 Nov 1909 and said he had labored for many years in Liverpool. John Fanning, late of Cathedral St, Thurles, Co Tipperary, farmer, died 3 May 1925 to Edward Fanning, farmer, 76 pounds. (Aged 60, shopkeeper. His daughter Nora Fanning present). Patrick Fanning late of Main St Thurles, merchant, died 2 Mar 1916 to Anastasia Fanning, his widow, 1,537 pounds 10 shillings, resworn 1,578 pounds 10 shillings. (Aged 87, a shopkeeper). Stasia Fanning, widow, late of 10 Liberty Square Thurles died 4 Nov 1941 to Cissie Morris, spinster, 686 pounds. (Aged 74, a merchant. Cissie Morris was her niece). William Fanning, merchant, late of Mitchel St, Thurles, died 29 Dec 1947 to John Carrigan, solicitor and Jeremiah O’Connell, retired commercial traveller, 35 pounds. Patrick Fanning of 9 Bank Place Tipperary, merchant, died 12 Dec 1944, 850 pounds to his widow Margaret Fanning. (Aged 59, married. Mary Theresa Fanning, his daughter, present). 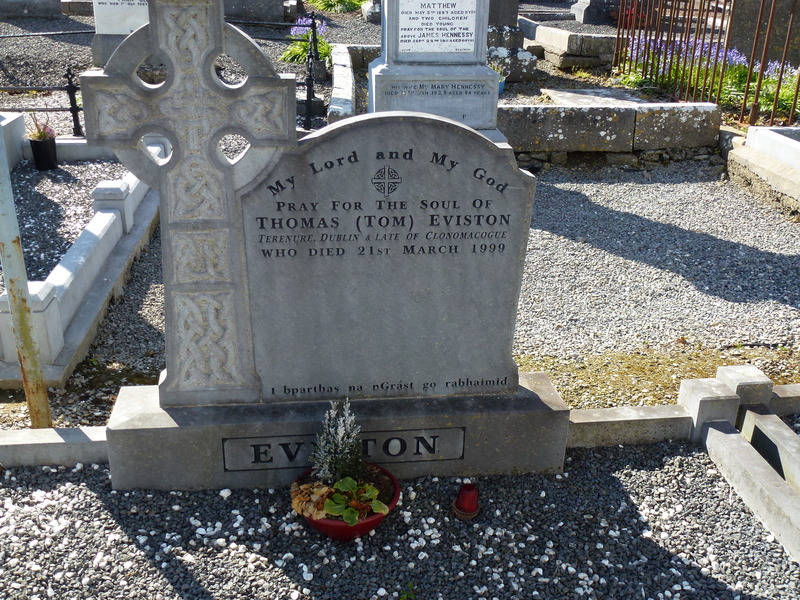 Thomas Fanning of Turtulla, Thurles, Co Tipperary died 2 May, 1978. Margaret Fanning of Turtulla, Thurles, Co Tipperary died 13 Jan 1985. Mary J Fanning of “Carnalea”,Whitshed Rd, Greystones Co Wicklow died 16 Feb 1936 to Joseph Fanning, gentleman, 1,300 pounds. Joseph Fanning of “Carnalea” Whitshed Rd, Greystones, Co Wicklow, retired merchant, died 23 Aug 1942 to Alice Hedigan, married woman, 2,492 pounds. Joseph William Fanning of Kabulonga, Lusaka Zambia died 22 June 1984. John Mullany died Thurles 1900. He was married to Bridget Fanning daughter of Michael Fanning and Catherine Ryan of Lissaroon. (Age 60, shopkeeper. His daughter Mary Mullany present). Will of John Mullany died 1900. 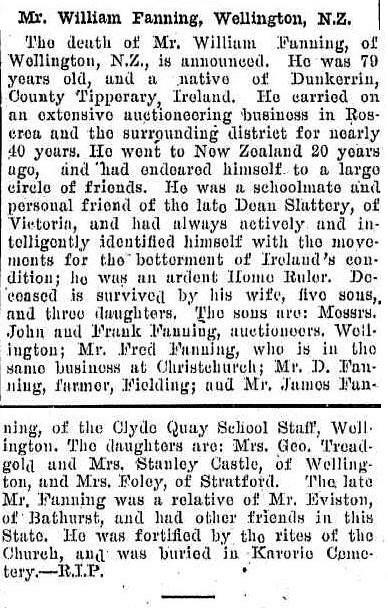 I came across this obituary for a William Fanning from Co Tipperary born about1828 and he died in 1907. The fact that he is said to be related to John Eviston got me interested. How is he related? and could he be part of my Fanning clan? 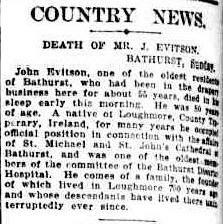 The John Eviston he is related to was born in Clonomocogue just north of Thurles in 1844 and died in Bathurst, NSW Australia in 1925. His mother was Mary Fanning, daughter of William Fanning and Hanera Cormick of Lissaroon, my ancestors. On William Fanning’s death certificate his parents are listed as Phillip Fanning and Mary Fanning nee Eviston. 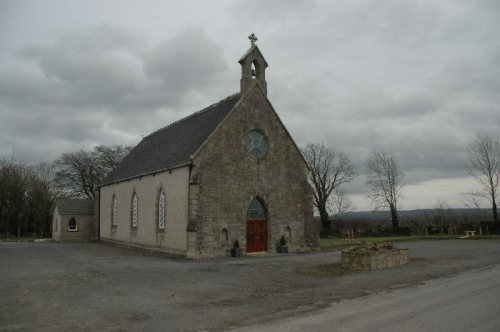 They were married in Loughmore Parish Co Tipperary on 31 Jan 1822, witnessed by Robert Eviston and John Leahy. So John Eviston and William Fanning were first cousins. William’s mother Mary Eviston marrying Phillip Fanning of Dunkerrin. I could not find a birth or baptism record for William but did find records for two of his sisters. Margaret was born in Castleroan Dunkerrin Co Offaly, her godparents were John Hennesy and Mary Fanning. Mary, the other sister, was born in the same address and baptised on 7 Oct 1838, her godparents were John and Mary Maher. Phillip, William’s father, died on 15 April 1875 in the parish of Shinrone, Kings county. He was a farmer. He died from bronchitis, aged 82. 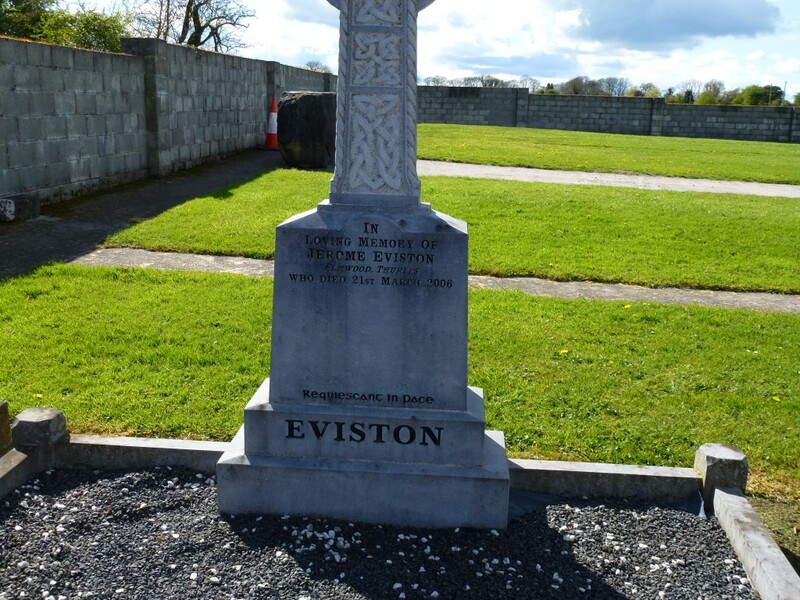 His mother Mary Fanning nee Eviston died in Castleroan on 1 Mar 1886 in Shinrone Parish Co Offaly(Kings). She was 86 and cause of death was marasmus, severe malnutrition. William was born in Castlerone (I think this is Castleroan) Ireland and had been in NZ for 20 years. He was married in Ireland at age 30, to Sarah Guidera. Nine children are listed on William’s death record but only their ages are given. Five Males aged 46, 44, 34, 30 and 29 years. Then there were four females aged 40, 38, 36 and 32 years. 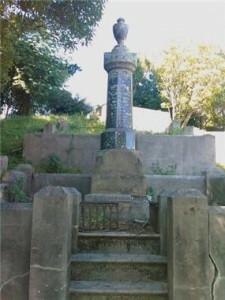 William’s death record had him dying at 2 McFarland Street, Wellington on 13 August, 1907. He was 79 years old and died from “old Age”. There are baptism and birth records for the following children of William and Sarah Guidera. 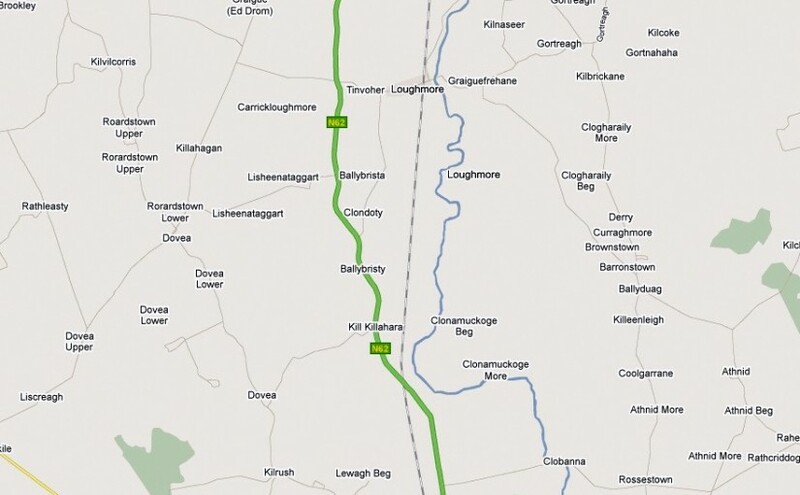 The family lived at Oldcastle in the parish of Cournageen (Bourney) Co Tipperary. Daniel baptised 26 July 1862 sponsors: Phill Fanning and Mary Guidera. James born 23 June 1876 and baptised 23 Aug 1876 twin of above unnamed child. Two of the children of William and Sarah, William and Phillip, are said to have gone to America instead of emigrating to New Zealand. 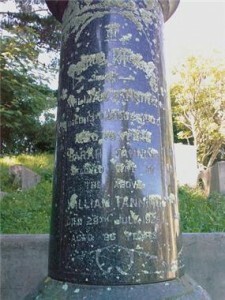 William Fanning is buried in Karori Cemetery in the Wellington region with his wife Sarah and sons, John Joseph and Frank.